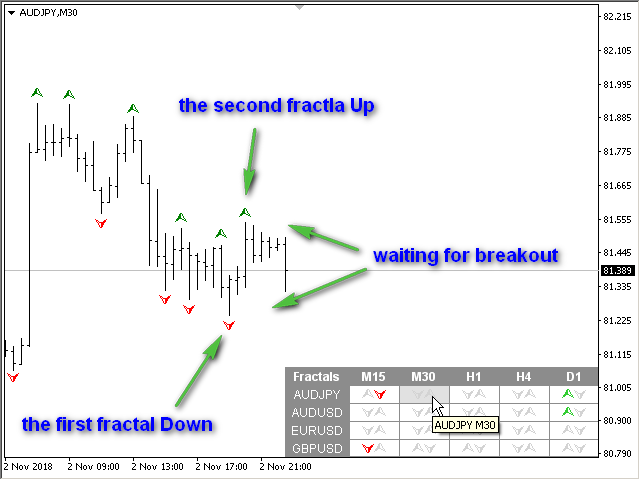 Multicurrency and multitimeframe modification of the Fractals indicator. Displays the last two fractals - their sequence, and which of them is broken. 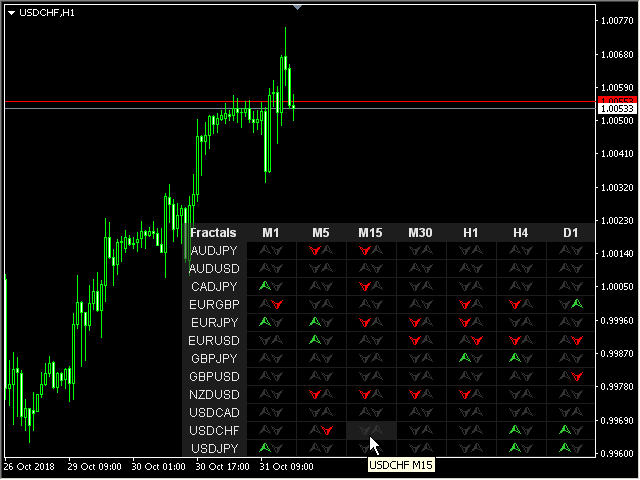 You can specify any desired currencies and timeframes in the parameters. 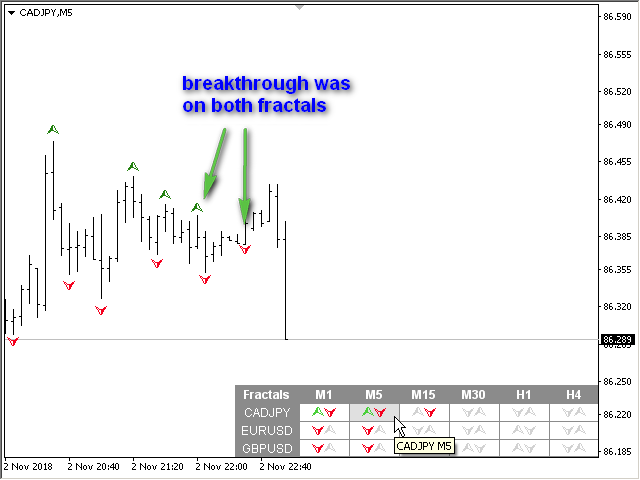 Also, the panel can send notifications on a fractal's breakout. By clicking on a cell with a period, this symbol and period will be opened. Color Up — up arrow color at breakout. 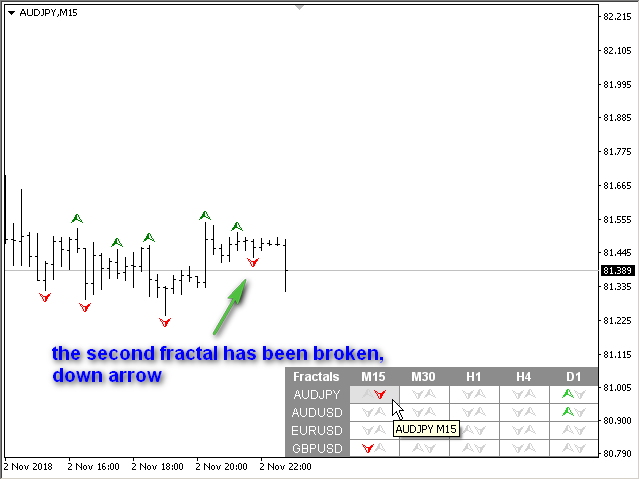 Color Down — down arrow color at breakout. Color Stop — arrow color without breakthrough. 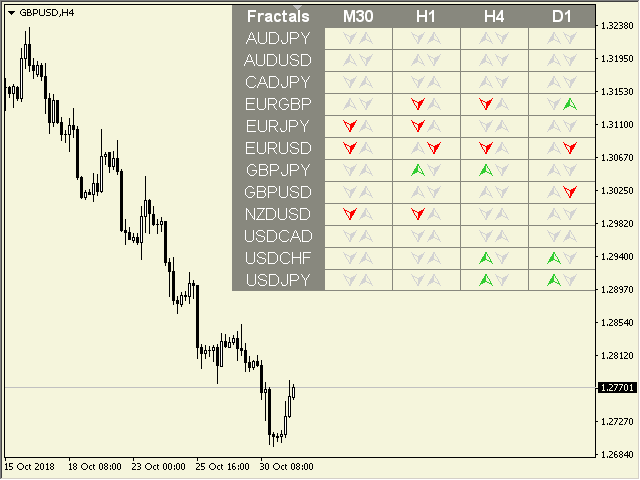 1) Added parameter "Show fractals on the chart".